Fort Worth Criminal Lawyer | The Law Office of Lesa Pamplin, P.C. When you are arrested for a crime, your reputation and your future are on the line. Even minor charges can dramatically alter your life through imprisonment, loss of a job, or other consequences. If you have been charged with a criminal offense, our Fort Worth criminal defense lawyer can help. With 15 years of experience, she is dedicated to helping her clients seek favorable outcomes to the toughest cases. Ready to build your defense? Contact our firm today for a free consultation! Our team is focused on defending clients faced with difficult and serious criminal charges. We practice exclusively in criminal defense law, and our focused efforts in this area have allowed us to continue to provide exceptional legal services. Not only that, but our firm offers defense representation for a wide variety of federal offenses, including white collar crimes, violent crimes, and drug crimes. 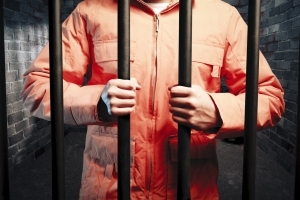 Without a proper defense, these major felonies can be devastating to your personal and professional life. Having a Fort Worthy criminal defense attorney to help you navigate complex federal state laws can be the difference between conviction and acquittal. Ms. Pamplin brings a wealth of knowledge to every case. She knows how crucial it is to have a strong defense behind you, no matter what kind of criminal charges you are facing. You cannot afford to go without proven and experienced representation! Contact The Law Office of Lesa Pamplin, P.C. at (817) 476-1096 today for counsel.